Before Tom started Ammerman’s Automotive he worked for his father for years at Meineke Discount Mufflers learning the business inside and out. When Tom finally had the opportunity, by receiving a SBA loan from D.L. Evans for $50,000, he rented himself a two-bay shop. One year after opening he needed more space so he rented another bay and bought more equipment. For the first two years he worked by himself until he found another great ‘car guy’ and soon had the opportunity to own his own shop. In November of 2005 he purchased his current shop on Chinden and hired two more employees. Before Tom purchased his shop, it was owned by an older gentleman who worked alone. The property had unruly brush and trees, covering much of the exterior. An irrigation ditch was lined right along the back of the shop. the bays were dimly lit by a few florescent lights on the walls. And a giant sink hole was just feet from his front door. When Tom took over, he revamped everything. The shop’s before-and-after photos are impressive. Since his opening, he has gained much success. Tom relates to the motto of “Failure is not an option.” He also likes to get the job done perfectly the first time and always treats the customer with respect. 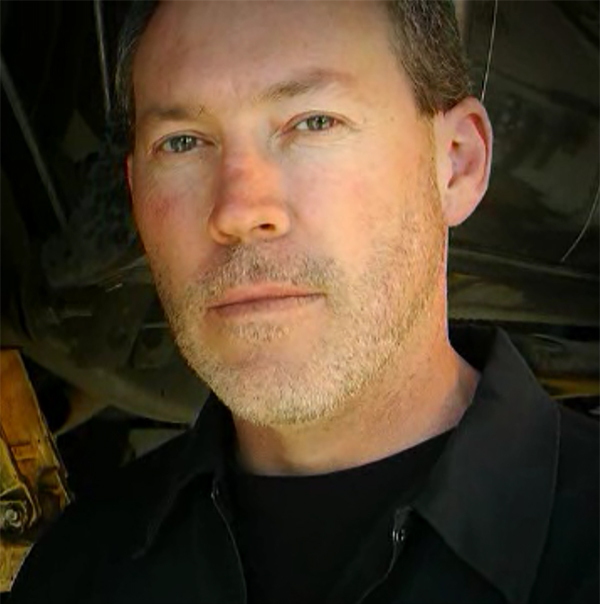 He says, “My best advertising has been word of mouth because I am very fussy about how things should be done.” Besides custom exhaust work Tom also specializes in brakes, shocks, and struts, steering and suspension, CV axles, mufflers catalytic converters, welding and fabrication.